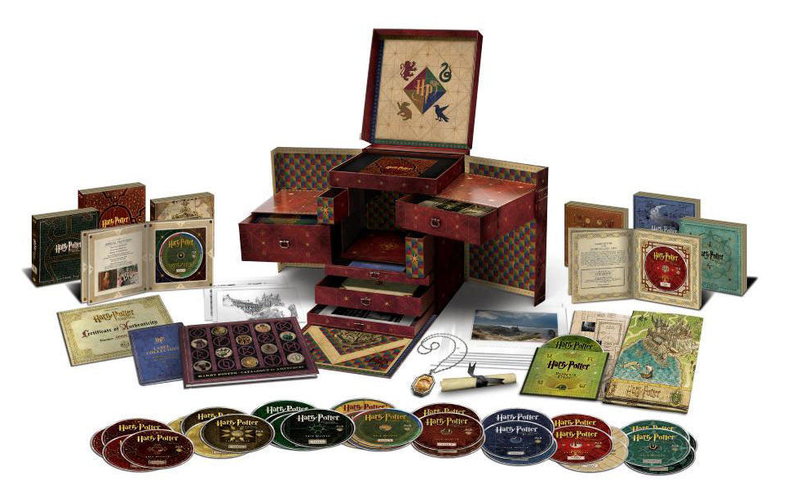 What It Is: Pretty much mecca for any major ‘Potterhead’, this massive, collectible gift set includes all eight Harry Potter films in 2D and 3D, Blu-Ray and DVD (many with extended, never-before-seen footage) along with over 37 hours of bonus features (many of which have never been released). Add to that concept art, collectible books and guides, and a replica Slytherin horcrux locket, all of which is housed in a magical chest with hidden compartments, and you’ve got an item that’s a feast for the eyes as much as the mind. Why am I featuring it this now? Well for one, in a week of goblins and ghouls, it serves us well to have a magical gift idea on the menu. And for another, I can bet there are a few boys and girls that will want to get their hands on this limited-edition, numbered kit come the holidays. Who It’s For: Your kids, as a mind-blowing present courtesy of Santa. Your grew-up-with-Harry spouse, as a fun way to spend your Christmas vacation together catching up on the new classics. Your grandkids and kids, for some family-friendly entertainment. What It Costs: On paper, $499. But if you spend that, you’re crazy. I’ve seen it for between $250-$350 elsewhere. Where It’s At: Amazon.ca is one such retailer that’s got it for $350. I also spotted a few sets at Costco in the $250-$300 range. That may sound like a lot, but consider you’re getting 8 blu-rays (typically priced at $30 a pop for $240 on alone) + DVD copies, endless bonus discs, and all the gifty stuff to go with. This gift set is awesome, very pricey though.